Here's your chance to get a glimpse of Marilyn Monroe before she was "Marilyn." The Catalina Island Museum on Catalina Island, California, has curated an exhibition on the legendary bombshell and the year she spent on the island when she was a newlywed teen. "Before She Was Marilyn" will be on display from August 6 through October 31, 2011. When Monroe (then named Norma Jeane Baker) was just sixteen, she married a neighbor in order to escape her foster home life. 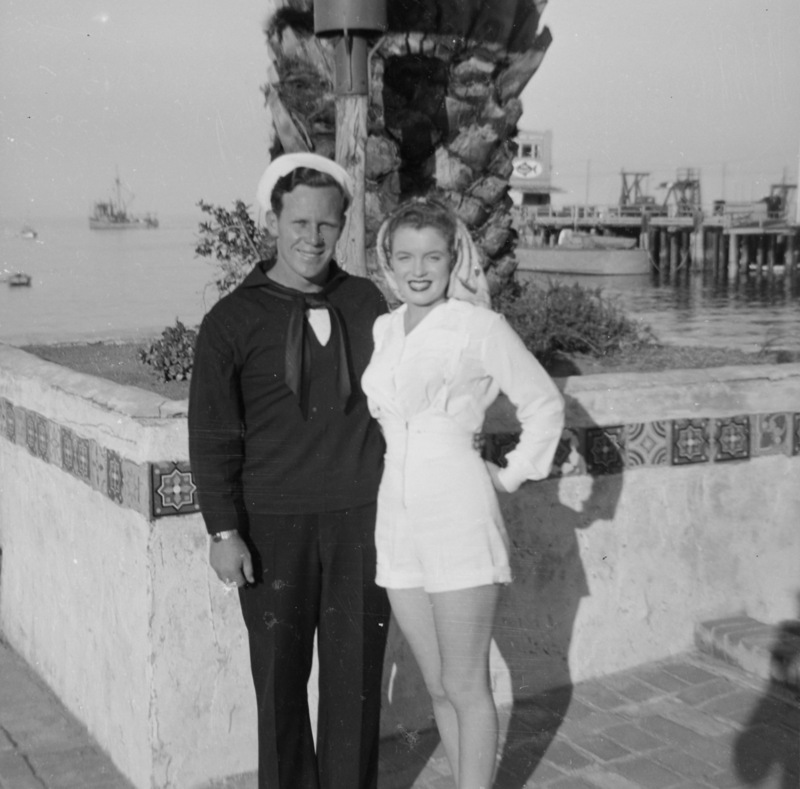 Jim Doughtery, her young husband, was sent to Catalina during World War II and brought Monroe along, according to the Catalina Island Museum. This time proved to be transformative for Monroe. Michael De Marsche, executive director of the museum, told the LA Times that the photographs and letters from this time on Catalina, "allow a fresh chance to explore her psychology as she was trying to come to grips with the seriousness of marriage, her femininity and her future." The focus of the exhibit is Monroe on the verge of womanhood -- and on the verge of becoming an icon. 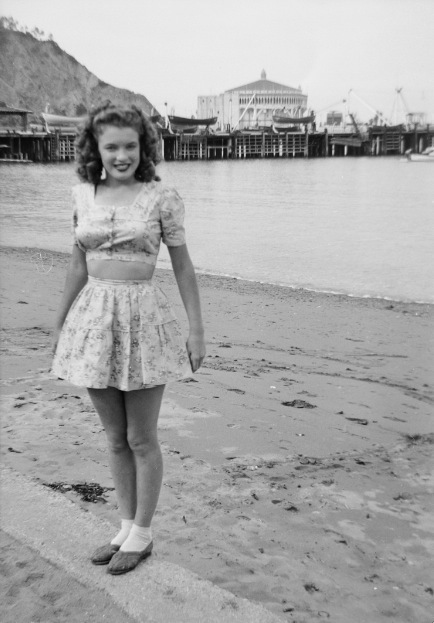 One year after her arrival at Avalon, Baker was discovered by a photographer, she divorced her husband, and changed her name to Marilyn Monroe. In a letter read by De Marsche, Norma Jeane said, "Oh it's hard to explain the feeling I had," of her time on Catalina. Far from the sophisticated “blonde bombshell” who later entered into a secret liaison with a U.S. President, the exhibition probes deeply into a woman who, by her own admission, did not feel married and enjoyed playing with neighborhood children until called home late in the evening by her husband. In a 1952 LIFE Magazine article, the star said, "Do I look happy? I should -- for I was a child nobody wanted. A lonely girl with a dream -- who awakened to find that dream come true. I am Marilyn Monroe. Read my Cinderella story." For information on how to get there, please visit Catalina Express or the museum's website.